EWG's Chemical Industry Archives - See the documents that show how DuPont hid PFC pollution for decades. The Madrid Statement - A scientific consensus statement regarding the persistence and potential for harm of PFCs. 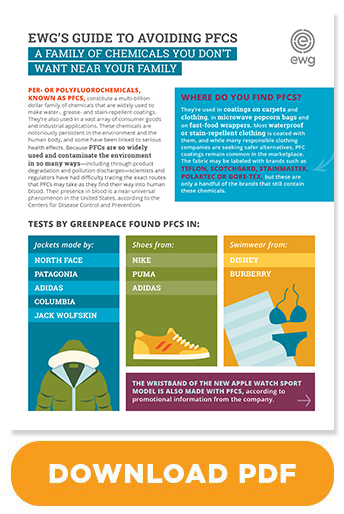 Green Science Policy's Consumer Guide to Highly Fluorinated Chemicals.